Captain Mahendra Singh Dhoni, who led the Super Kings to their third IPL title after returning from an illegal gambling ban last year, elected to field first in the 12th edition of the world's most popular Twenty20 league. 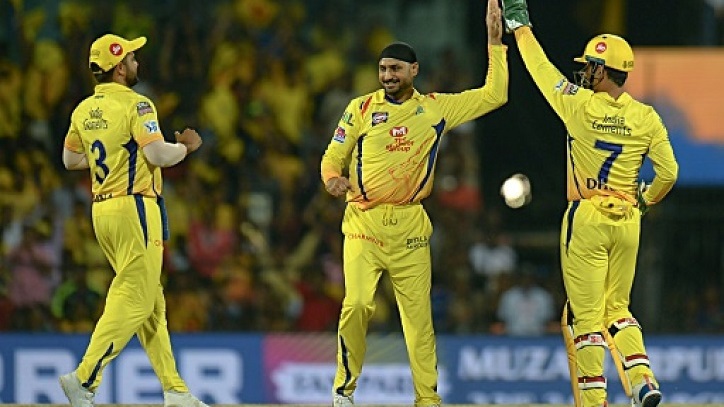 Singh ran through the Royal Challengers top-order with his wily off-spin, getting the big wickets of England's Moeen Ali for nine and South African AB de Villiers, also for nine. "No one wants to start like this, but it's good to get a game like this out of the way -- this early in the tournament," said Kohli, who is yet win an IPL title. "I thought CSK played really well, they deserved to win, but I loved to see our team fighting all the way."